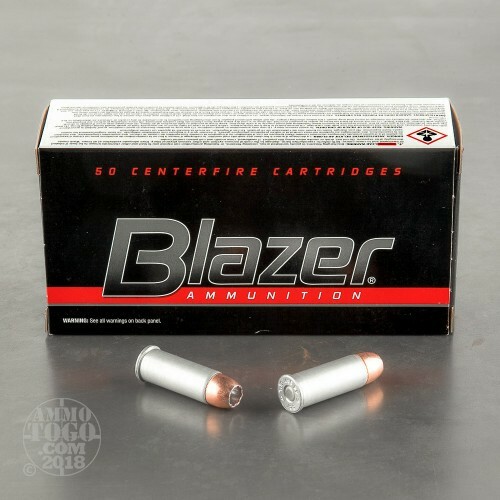 This 1,000 round bulk pack of .44 Special from Blazer is an excellent way to stock up practice and carry ammunition at a great price in one simple purchase. 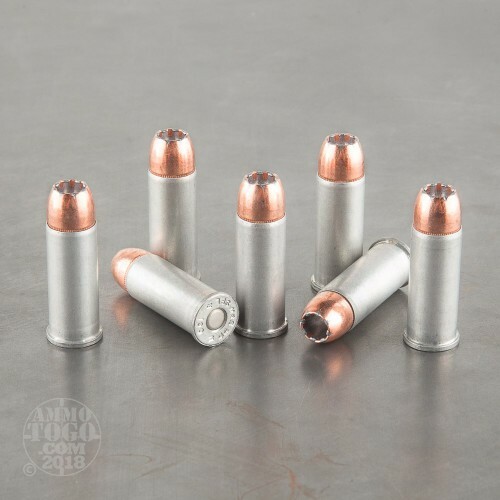 These rounds utilize a durable aluminium cartridge casing for corrosion resistance in storage as well as cost savings which get passed down to the shooter. Each casing is fitted with a non-corrosive Boxer primer and topped off by a Gold Dot jacketed hollow-point (JHP) from Speer (Blazer's sister brand). Gold Dot JHPs are well known for their excellent weight retention, consistent performance, and reliable expansion which can all be attributed to Speer's molecular jacket bonding process. Upon impact with a target, the projectile is designed to mushroom out in a uniform fashion that doesn't break the jacket away from the lead core of the bullet. This results in high energy transfer into a target for maximum damage delivered to vital organs and nerve clusters. These .44 Special loads use a 200 grain projectile which is very pleasant to shoot in .44 Magnum revolvers and lever-action rifles. 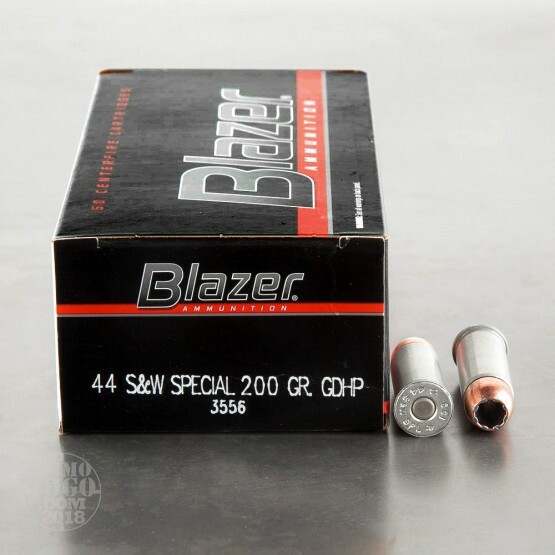 Blazer ammunition is manufactured by CCI as a low cost alternative to their premium Speer and Blazer Brass options. The entire family of companies is recognized for undying quality alongside a long list of contracts for supplying federal and state law enforcement agencies.